The National University of Science and Technology (NUST) held an Open Day on the 28th of March 2013 to showcase the final year projects that their student’s are working on. I had the privilege of being invited as a speaker at this event. The Open Day had three tracks. The first was for Speakers, the second for Career Guidance and the last was for the Computer Science Students to showcase their projects. I got to NUST a few minutes later than I had hoped but fortunately the sessions had not started. 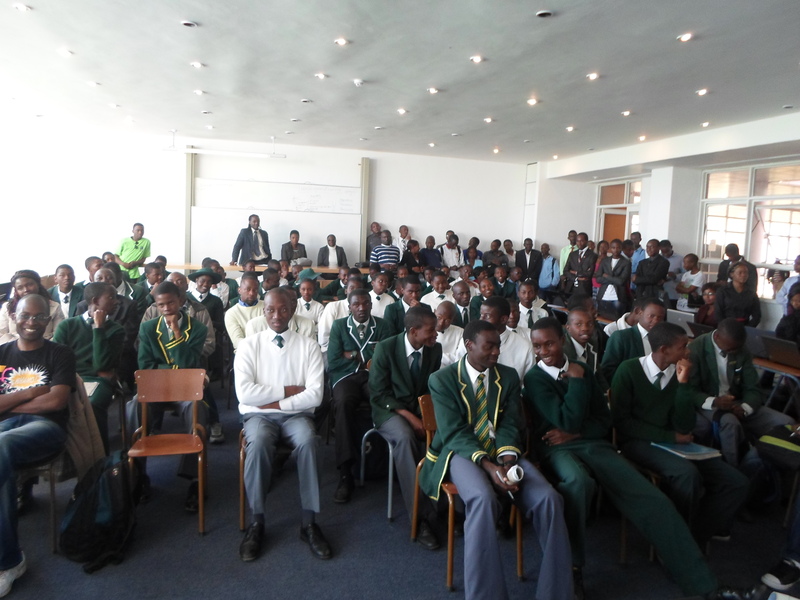 I quickly set up my laptop and configured the displays and as soon as I was done setting up, the Chairman of the Computer Science Department, Mr T. Nyathi opened the sessions. The first speaker came up, but I’ve forgotten his name. He gave an excellent presentation on how to develop for Nokia, Windows Phone and the Accelerator program from AppCademy and how to get involved if you have a great idea for a Windows phone app. This intrigued many in the audience, especially the young High school students. I was the second speaker. 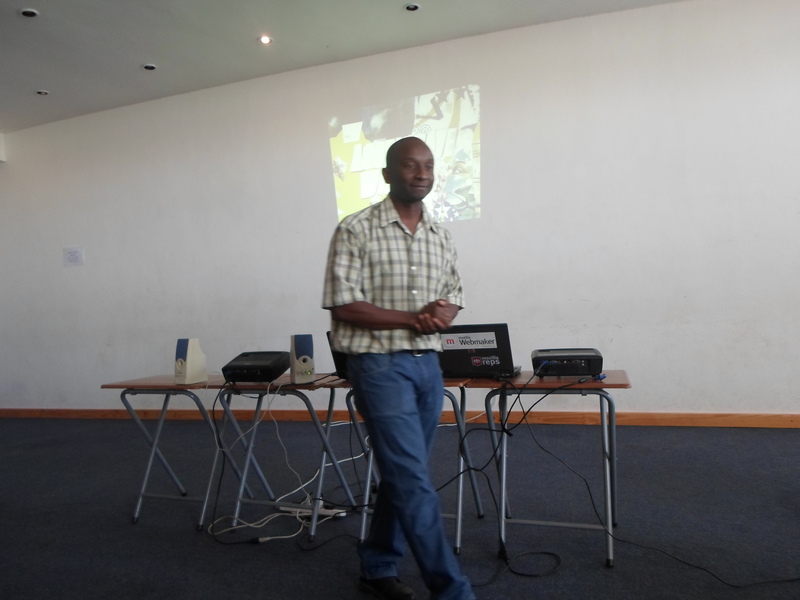 The presentation was entitled ‘Mozilla and the Open Web Challenge’. I used slides from the Remo toolkit and they are available here. I introduced my talk, explained what Mozilla has done for the open web and went on to talk about the state of the web in our day: people are moving from desktop computing to mobile. I explained how Mozilla is interested in HTML5 and also highlighted what we are doing to support Web Standards. I covered many more things such as Webmaker, Mozilla Thimble, popcorn and Persona and the final part of the presentation was on Firefox OS. I explained why we’re working on it, how to develop apps for it and how it will complement, not compete with other mobile Operating Systems. The audience wanted to know if the OS would have apps and I went on to talk about the Marketplace and how easy it is to deploy apps in it. The High Schoolers went out to attend their Career Guidance talk which was held in the next room and I got a chance to talk with many people from the University especially those who were interested in Industrial liaison. The Computer Science students had many questions too. These were generally about How our work is funded since we’re an non profit, how to join Mozilla and what plans we(Mozilla) have for the future, especially in emerging markets. A lesson I learned from this is that you have to be able to give people an elevator pitch about Mozilla. A short summary of what Mozilla is, what it’s about and be ready to answer three or four questions. This event was a great start to the quarter and I hope to visit more Universities before the end of the year.